I thought I would continue the Derby theme. 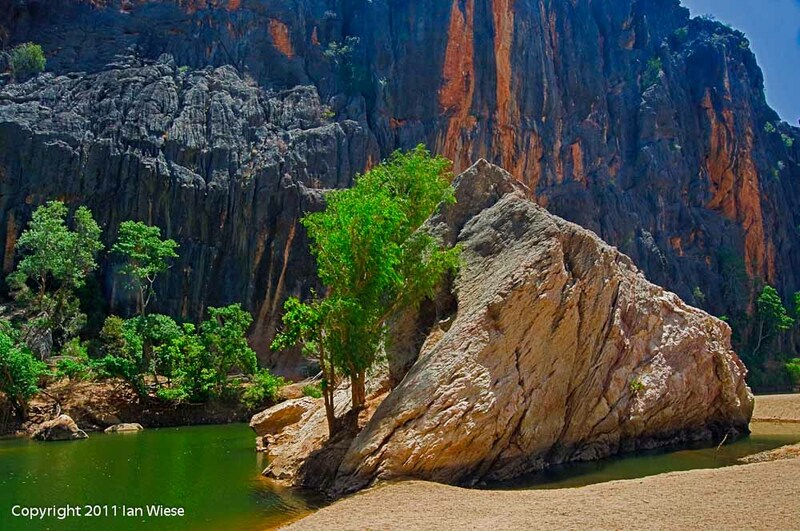 The first shot was taken at Wandjina Gorge – out of Derby along the Gibb River Road. It was the middle of the day, and the light was harsh and strong. The mud flats below are at low tide, next to the Derby jetty. I love the strong colours in this shot. This entry was posted on April 19, 2011 by ianwiese. It was filed under Landscape and was tagged with Derby, iron, jetty, low tide, mud, red, rocks.